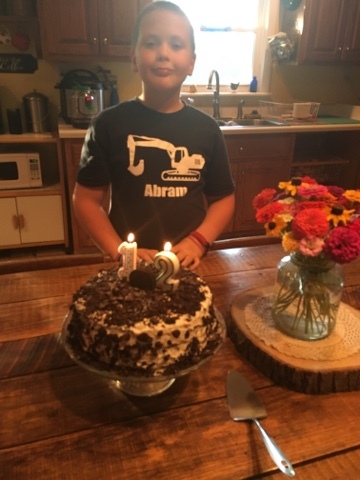 When asked about his birthday cake request, Abe thought about it for a bit and then he said, "Mom, do you think you could make a cookies 'n cream cake?" I said "I'll do my best!" 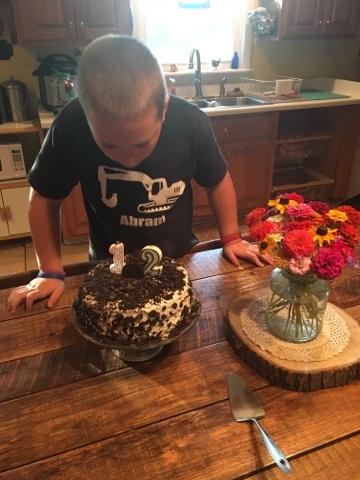 And with that, his favorite ice cream flavors were born into a cake. 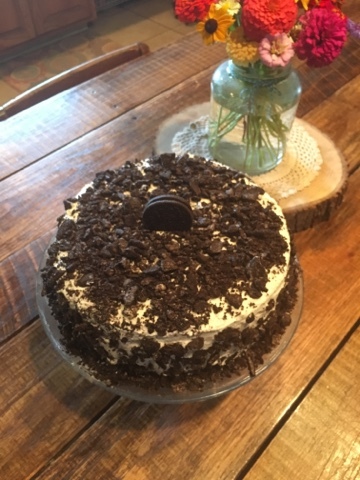 I used the basic chocolate cake version from Grandma Jean's peanut butter cake, but instead of adding reese's I added oreo chunks. When making any cake, whether it is a store bought box, or a homemade recipe... sour cream or buttermilk is a major help. It moistens the cake. Makes it soft, light, and fluffy. 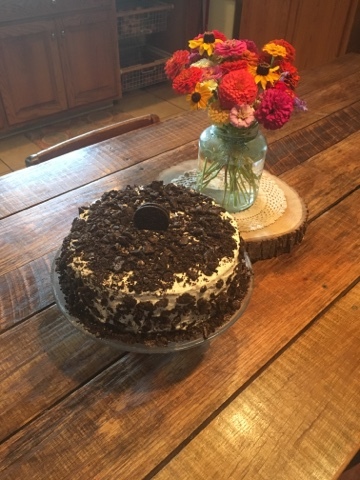 For the icing, I made a basic buttercream and then we crushed Oreos again. Carlie Jean got a little heavy handed with the Oreos, I could have done with a LOT less, but the family enjoyed them. And just like that... baby boy's birthday came and went. I hope your 12th year is a great one, son. I love you so very much!